Lock base: 15/16" x 2-5/8"; strike: 5/8" x 2-5/8". 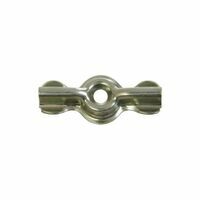 National Hardware Window Control, Series: V1362, 5.61 in Length X 1.25 in Width X 0.76 in Height, 0.02 in Thickness, Stainless Steel, Stainless Steel, BHMA A138.18 Draws window frames together to reduce rattle. 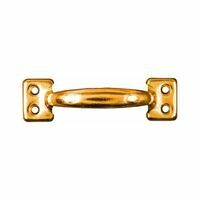 Crescent type lock is for double-hung windows. Mounting screws included to match product finish. Mini-pack bagged. Draws window frames together to reduce rattle. 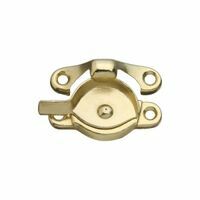 Crescent type lock is for double-hung windows. Mounting screws included to match product finish. Mini-pack bagged. Draws window frames together to reduce rattle. For double-hung windows. Mounting screws included to match product finish. Bagged. 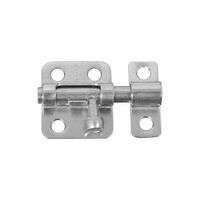 This crank style offers excellent torque for easy opening and closing of the window. 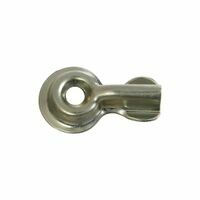 This crank style offers excellent torque for easy opening and closing of the window. 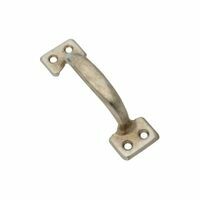 This crank style offers excellent torque for easy opening and closing of the window. This crank style offers excellent torque for easy opening and closing of the window. 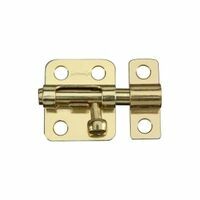 Spring-loaded vinyl tilt latch; used on single or double-hung, aluminum or vinyl windows. 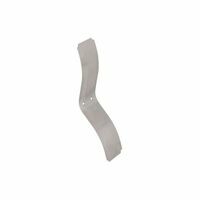 Use in sash panels designed to tilt in and down from top of window. Includes 1 left hand latch; 1 right hand latch and 1 set of screws. Used on vertical and horizontal sliding windows. Does not use keepers, latch engages fixed rail to lock. 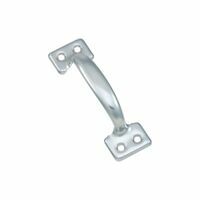 Includes 25/32"W x 2-15/16"L lock, and 2 installation screws. 2-1/4" hole centers. Used on vertical and horizontal sliding windows. Does not use keepers, latch engages fixed rail to lock. Includes 25/32"W x 2-15/16"L lock, and 2 installation screws. 2-1/4" hole centers.